QCOSTARICA by Roberto Acuña Ávalos, Vozdeguanacaste – So far in 2015, 839 people have been diagnosed with dengue in Santa Cruz, which has become the Guanacaste canton with the most victims. Before the month of August, at most ten patients per week were being treated. Now, however, up to 100 cases of dengue are being diagnosed per week. Chavarria added that the situation has been complicated this year because it was the first year they have handled cases of Chikungunya. To date, some 545 cases have been reported. “I want everyone to know that fumigation will not solve the problem. The problem can be solved by eliminating stagnant water from homes. Some 80% of the breeding sites have been found within homes,” said the doctor. For the specialist, there could be more cases than those reported, as there are places such as Tamarindo, Flamingo and others along the coast where residents have little access to medical centers. In addition, there are many tourists who are attended to by private facilities and are not registered among those affected. Currently, the canton’s most vulnerable communities are Santa Cecilia and Cartagena. According to Chavarria, during the last days of November and the month of December, the situation in Santa Cruz could become even more complicated, as the time of transition from the rainy season to the dry season can cause more stagnant water and thus create breeding sites. “We have to consider that the dengue mosquito can breed even in a bottle top, and it takes a minimum of six days to go from egg to mosquito,” he said. 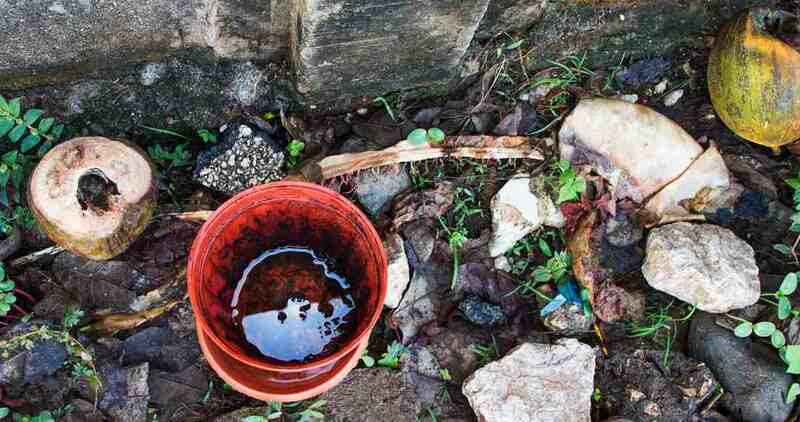 The medical official said that residents have gotten used to dengue and for that reason they do not truly understand the importance of eliminating tires, water jugs, vases or cups with water. To confront the canton’s crisis, the Ministry of Health sent some 20 reinforcements from other regions, such as Limon and Turrialba, to fumigate the canton. For his part, Mayor Jorge Chavarria stated that the municipality will collaborate with a team of five officials to give support to the fumigation work. The year 2014 ended with 792 cases of dengue in Santa Cruz, some 100 patients less than those reported to date in 2015.